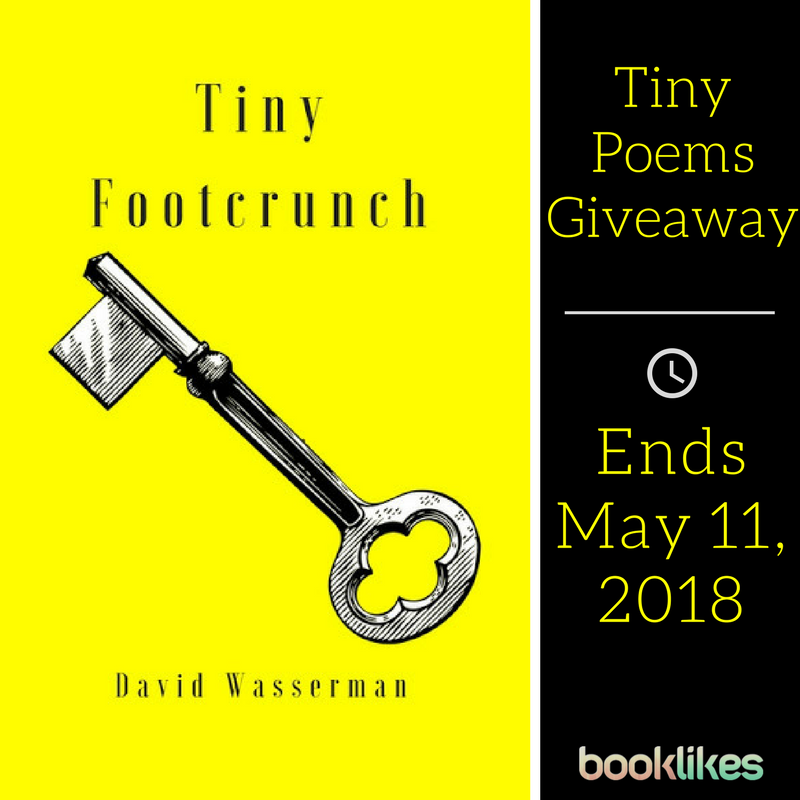 Official Booklikes page of Tiny Footcrunch author David Wasserman. 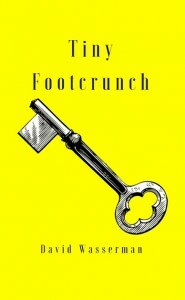 Tiny Footcrunch, my debut collection of poems, was released today! I am sending love to Unsolicited Press, friends and family for all of your help and support. Enjoy my small poems on this last day of National Poetry Month! To be fair, there are some dedicated poetry book clubs (including some online - do a quick search and you’ll find some fantastic choices!) but they are the exception, not the rule. 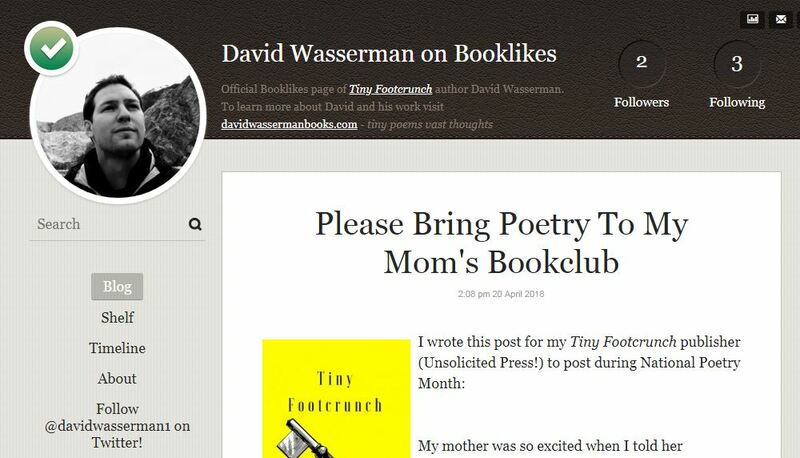 So then, why and howshould you add poetry into your book club? -Which one line did you get stuck in your head? -What does the key on the cover symbolize to you? Why the yellow background? 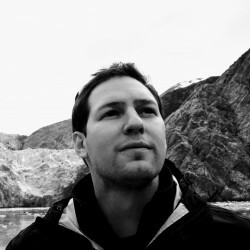 -Pair a poem with a food or drink, and tell why it works! -Pick a poem: what TV show does it binge watch? -Which poems are in the wrong sections of the book? Where would you put them? -Did a certain poem resonate with you? Why? 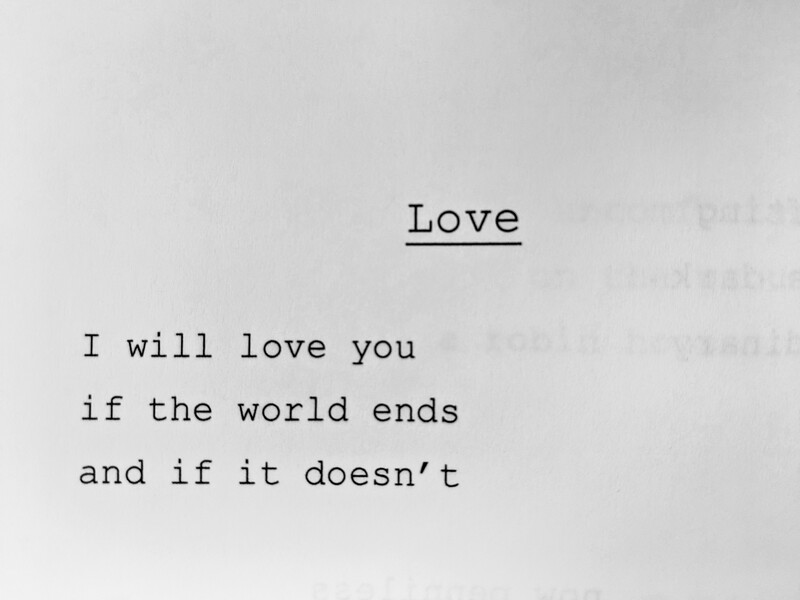 -Which poem would you love, marry, kill? I had been building a foundation for months now before announcing the release of Tiny Footcrunch, my debut book of poetry. Finally, yesterday was the perfect time to reveal that a. I write poetry and b. a book of my poems was being published. I was nervous and excited, as many people would be finding out about my writing for the first time, but all responses and reactions were so kind and supportive. I'm excited to announce that a book of my poems, Tiny Footcrunch, is being published and released by Unsolicited Press on April 30th! It is available for preorder now, and I can't wait for everyone to read it. Unlock your inner poet this National Poetry Month! After, I invited people to like/follow my Official Facebook Page, and I was overwhelmed at the positive response within minutes of my posting. Now that the cat's out of the bag, look for more interviews, posts, and promotions (including something from the AMAZING team at booklikes) leading up to April 30th! Can't wait for Tiny Footcrunch to come out on April 30th!